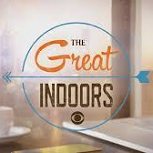 In a Nutshell: CBS will try to change its fairly unimpressive fortunes in the post-The Big Bang Theory Thursday timeslot by returning to multi-camera land with The Great Indoors. Grizzly veteran Joel McHale is forced out of his comfort zone when he has to start working with a bunch of obnoxious millennials. Best Case: It's been said that millennials will have no interest in a show that is pretty much just making fun of them. Guess what? That was also said about nerds and The Big Bang Theory back in 2007, and it's turned out OK. This is actually by far the most Big Bang-esque concept that has ever been tried after that giant lead-in. Even if none of the millennials pop, McHale and Stephen Fry will be reliably strong. It may not start quite as well as Kevin Can Wait did after Big Bang earlier in the season, but eventually some of the TBBT crowd finds this to be in their wheelhouse. It clings to the 2's pretty much all the way to season's end with a 2.25 average, and seems to have some heat at season's end. Worst Case: For a Big Bang lead-out, usually the timeslot will override any reviews/buzz concerns. But it can't possibly be a good thing that a show with this much "millennial" talk is this buzz-free. It will have a very meh initial sampling and quickly fall to 50% or worse retention. And unlike some other occupants of the past, it falls a good bit when it has to air after a Big Bang repeat, depressing its average to below the league average at 1.25. Likeliest: On paper, it seems like everything in the best case should be in play here. It seems compatible. But I'm really not impressed with what I've seen out of the promos, and there doesn't seem to be a Sheldon Cooper-esque break-out character. Considering McHale's career has a fairly young-skewing track record, I feel like there should be some kernel of an indication of social interest in the show, and there's really not. Again, the timeslot and compatibility should keep it afloat, but I think it ends up being a fairly similar player to Life in Pieces last year at a 1.73. Comparing it with the 9:30 shows on Monday and Thursday, that's likely enough to eke out a renewal, and maybe eat up one of those 9:30 slots next year. The real question for this year is whether it upgrades the flow of the night enough to help Mom at 9/8c. In a Nutshell: The CBS fall roll-out finally completes at 10/9c tonight, as CBS tries to get a second medical drama going with the newbie Pure Genius. A Silicon Valley billionaire assembles a hospital using the most advanced technology available. 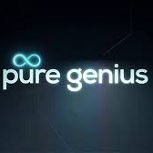 Best Case: Pure Genius is going to benefit a lot from low expectations; it'll have a bomb lead-in and constantly invite comparisons with the other CBS medical drama (Code Black), which happens to be struggling on Wednesday. Even Rush Hour didn't bomb that hard in this hour, and this may have a little more going for it than the midseason replacement that CBS indifferently threw on at the end of the season. If it can do Code Black-esque raw numbers in a tougher situation, it'll look pretty solid. 1.20. Worst Case: High-tech shows like Intelligence and CSI: Cyber have typically not ended up being a good fit with the CBS audience long-term, and this is another show that is all style and very little character substance. If it had a decent lead-in, it would be like Intelligence... but it has Life in Pieces, which bombs out in its sophomore season. That takes Pure Genius to almost unprecedented levels of ineptitude by CBS standards at a 0.58. Mom (1.68 A18-49, 115 A18-49+ last year): The acclaimed veteran comedy will hope to benefit from better support/flow from the 8:30 occupant than it ever had when a single-camera comedy inhabited the slot last season. I don't really see Great Indoors having enough goods to cause a major upswing for this show, but I also don't think it'll do much worse than Life in Pieces, and the flow should be a little better. So maybe Mom has a bit of a Plus uptick. Likeliest: 1.53. Life in Pieces (1.99 A18-49, 137 A18-49+ last year): After some extremely shaky points early last season (especially in the Monday episodes), the single-cam comedy held up rather well and even picked up a bit of steam after the move to Thursday. It eked out a second season but gets a far worse timeslot at 9:30. I actually thought it was a bit stronger than The Odd Couple last year, but it turns out that's not much of a compliment. Should be a pretty similar situation here. Likeliest: 1.11.